The All New, All Daring Delusional Honesty! : Do You Fear...The Hulk Looking Like a Total Tool? Don't say I didn't warn you! 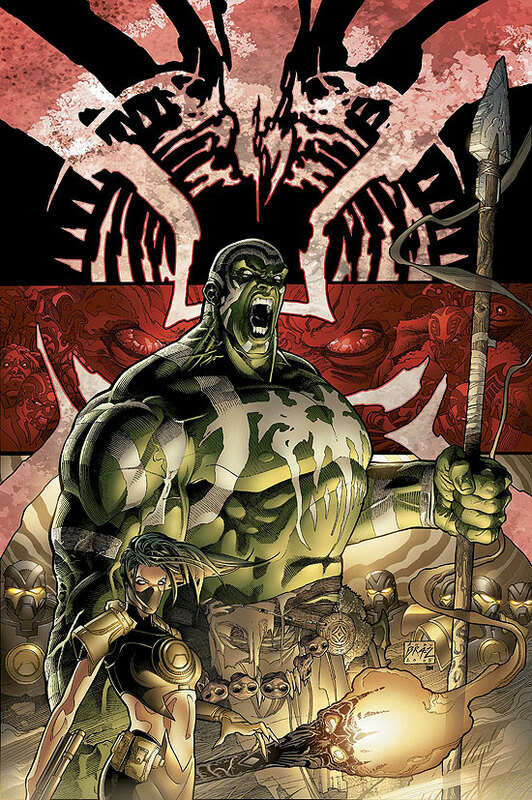 Stuart Immonen's variant cover to Fear Itself #2 spotlights one of "The Worthy." Yes, I'll be picking this one up. 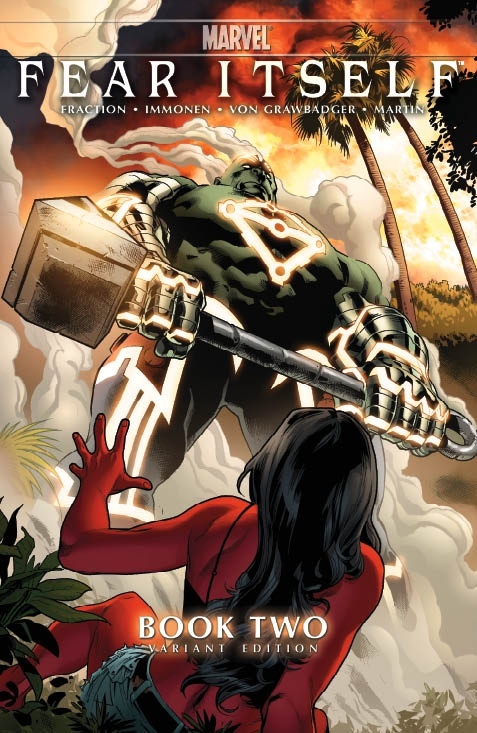 Anyone else getting vibes that conjure the House of M version of our beloved Hulk, from 2005? That's what I thought. What is it about a bald Hulk? Any comments from the ladies? You know what I'm wondering? Yes, it does have a major similarity to the cover of House of M: Incredible Hulk and it appears that Hulk will be used as a weapon of incredible destruction. But what I'm wondering is this- Is the events of Fear Itself taking place before or after Greg Pak's Heart of the Monster storyline? Judging from the poster, I'm willing to bet that the events of Fear Itself take place before Heart of the Monster. You know, its nice to see I wasn't the only person to notice that. It is a cool look for the Hulk to sport though not as cool as the World Breaker look when Hulk becomes the Herald of Galactus. Imagine those two looks combined? Awesome!!! !